Everyone knows that beautiful bathrooms can sell a home or make it so much more comfortable to live in. Remodeling a bathroom or creating a master bathroom can be a wise investment. You don’t necessarily need to add square footage to get a return on your investment. Sometimes, a bathroom remodel can be upgrading fixtures, flooring and lighting or it can be creating a whole new space out of another area. You can have fun choosing a theme or a style for your bathroom that fits your needs and personality. If you have an older home that you plan to be in for an extended period of time you face the inevitable question of remodeling a bathroom and addressing older water lines and waste stacks. 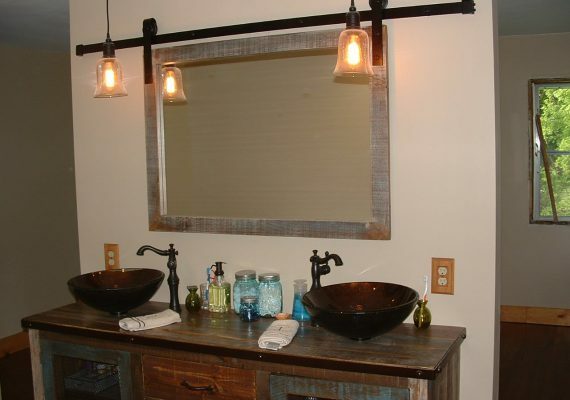 A bathroom remodel can reduce the stress of living with worn-out mechanicals and out-dated fixtures. At Above All Construction we can create that personal intimate space where you can escape a few times a day. We will present you limitless options for countertops, light fixtures, tile, faucets, heated floors, towel warmers, mirrors and toilets. Contact us at 952-462-3233 today to explore your options. Get Professional Services, Call us Now!